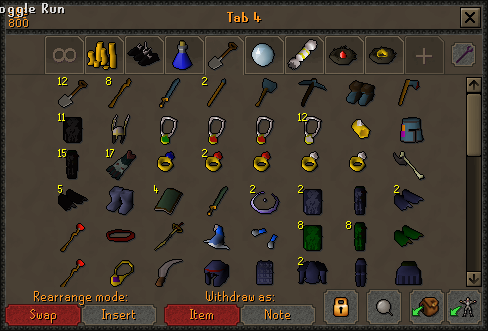 Tab #1, Teleports & Skilling supplies. 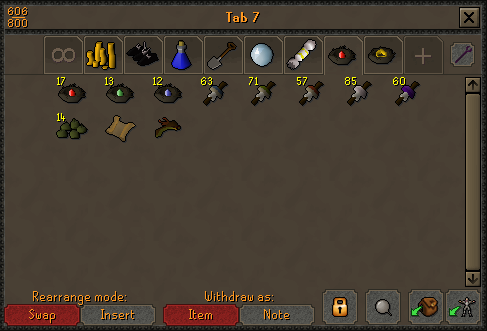 Tab #2 PVM & Slayer Gear. 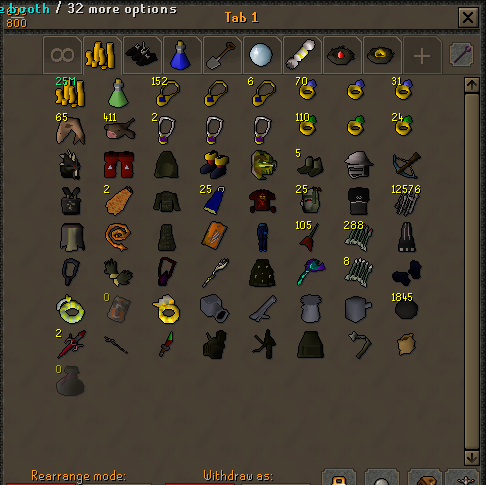 Tab #9 Junk Items/Quest Items/Misc Items etc..
Re: .:. Bank Organisation & Tabs .:. You have no idea how long i've been waiting for this! 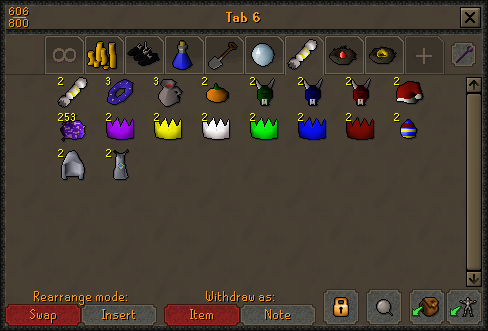 However, i don't really think you should waste a bank tab only for rares. Mabye just put it in the misc. 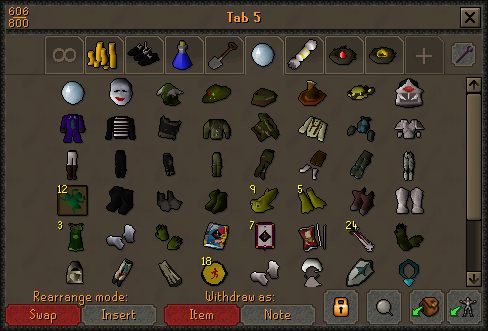 Tab? Very nice guide! I will definitely link people to this guide. D A D D Y A F wrote: Thank you! I know haha! 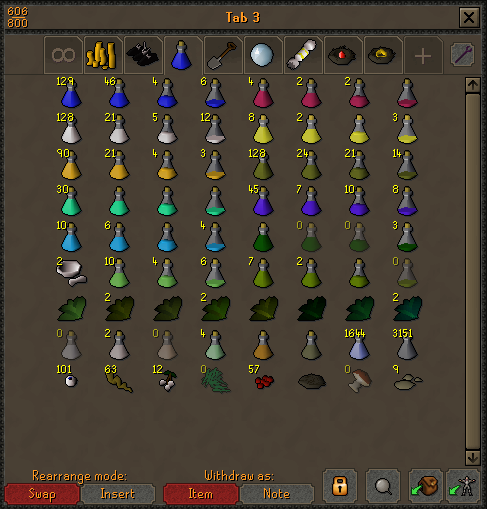 but it will eventually become my Rare & Skill cape tab (once I actually start getting some 99's) ill keep the capes in the order that I get them. 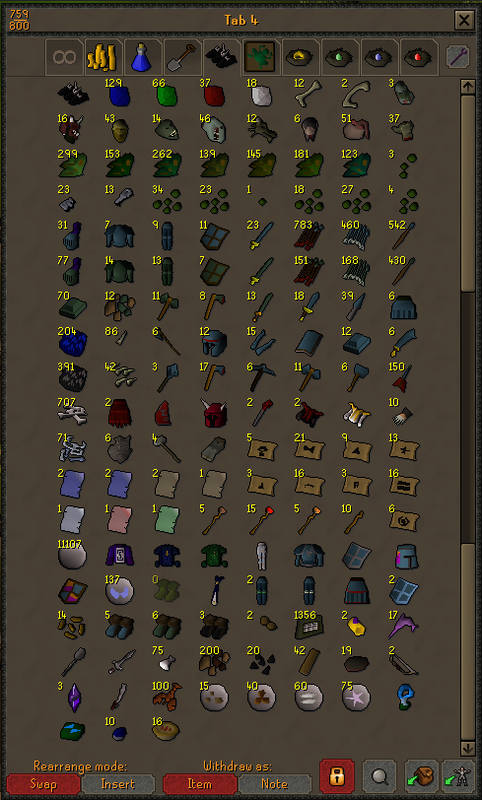 Nice, makes my bank look like someone puked all over it. Nice layout. I like the potions with (4) (3) (2) (1) in order - might have to adopt that. 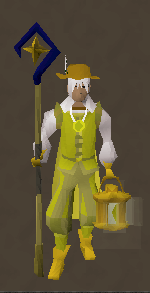 Reminder to talk to the Wise Old Man in Draynor Village who can remove unnecessary quest items from your bank to save space. 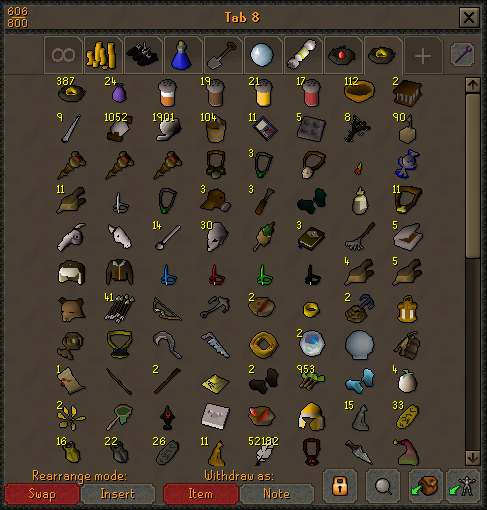 used this last night, with placeholders my bank has never looked more clean, thank you for the guide, now i can do what i want, when i want, alot quicker. I for sure will be following this haha! 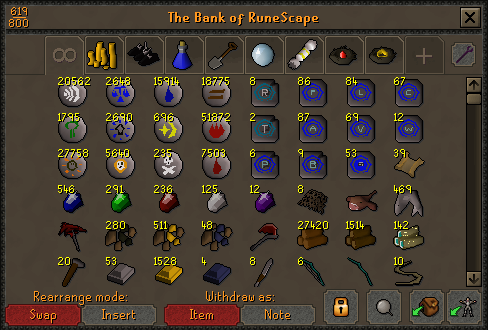 my banks such a mess thanks for this !